Yesterday morning was one of the best turkey hunts I have ever been on and I didn't even pull the trigger on the gobbler. Someone else did and I couldn't be happier! 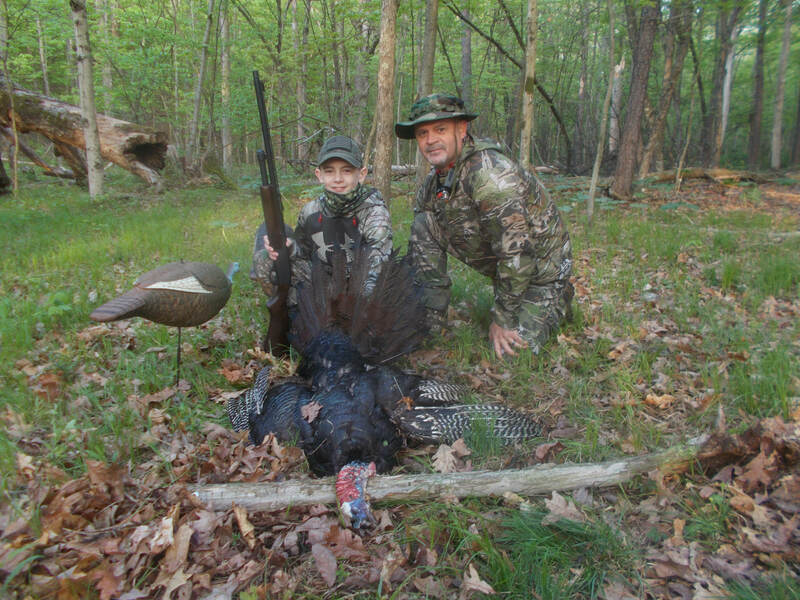 A good friend of mine, Wes Reed, asked if I could help mentor his son, Luke, and teach hom how to turkey hunt. Never one to turn down an opportunity to help someone learn to hunt and enjoy the outdoors, I said yes immediately. Fast forward to yesterday morning on some private property in Pennsylvania. Another good friend of mine offered to allow Luke to try and take his first turkey on his property.We (Luke, myself and Luke's dad, Wes) arrived at the blind around 5:15 and got settled in. At approximately 5:45 a gobbler lets loose on his roost and not far away, maybe 50-75 yards. Within minutes we hear a hen start calling back to him who is probably still on her roost. He responded but we wanted him to know there was another hen vying for his affection. This went on until full daylight came and we were not sure who was going to win the calling battle. Shortly after that we heard turkey fly down almost next to the blind that Wes said was a hen. I was tucked away in a corner of the blind doing the calling so I could not see her.She was obviously upset the way she was calling and cackling and we thought she may have been upset about the hen decoys we had set up infringing on here territory SHe hung around for some time and then decided to walk away behind us. My thought was that once the gobbler comes off the roost, he knows where the hen was from her calling and just might head this way looking for her. Once she left, he would see the decoys and figure that is who was calling him and head for the decoys. It is not everyday that you have a real hen doing the calling to the gobbler for you. I told Wes and Luke that I was going to shut up and let her do the calling! After she left however, I continued to call to the gobbler, he would fire right back and you could tell he would be on the way in. Then Luke says, "I see him!" and Wes confirms that the gobbler is coming in. He came towards the decoys going in and out of strut and showing himself off to the 'hens'. Luke and Wes said he was starting to look a little uneasy and nervous. Our best guess was that he didn't know why the hen he heard that was so talkative is suddenly quiet and not moving towards him. 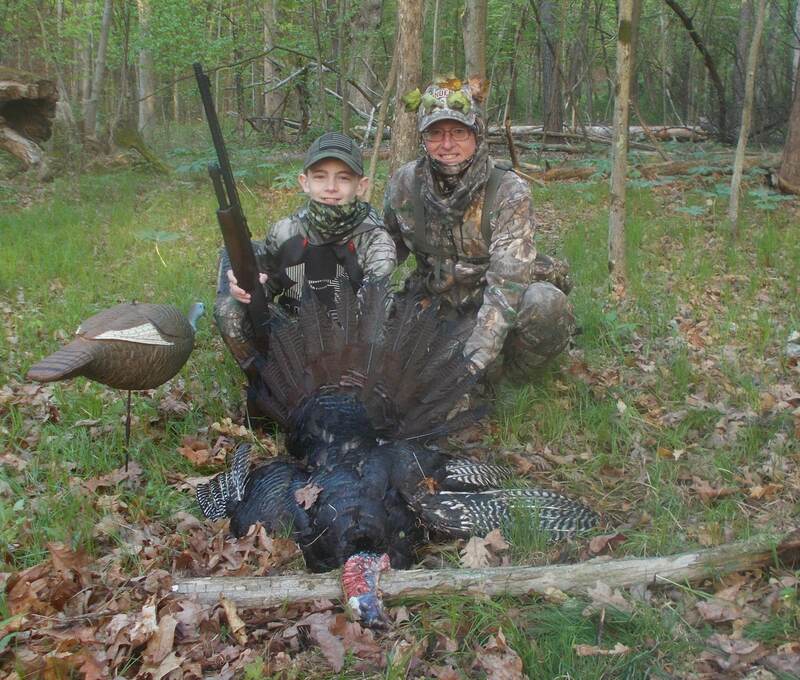 Luke took the shot and at 7:00 AM we had a gobbler on the ground! His first turkey! It was an amazing hunt and we strongly felt that God had put His favor on us that morning because of the way evverything unfolded so perfectly. It was just a perfect morning hunt! 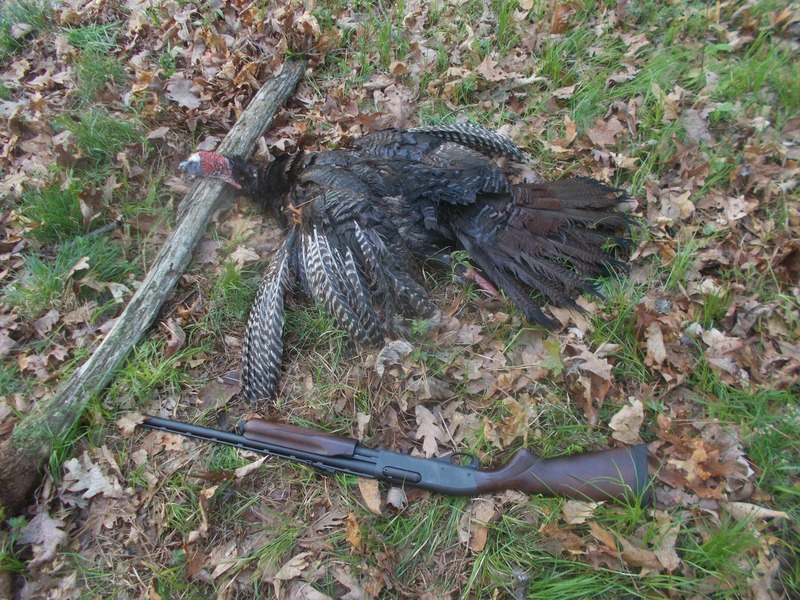 Definitely one of the highlights of my turkey hunting career! Congratulations Luke! You did an awesome job!!! Your dad and I and your entire family are so proud of you!! Special thanks to DLR from TH for allowing such a special hunt to take place on his property! Dave, You are truly a great friend and helped make a memory for Luke and his Dad that will last a lifetime! That's awesome BC - congrats to all of you guys! Thats awesome in so many ways. 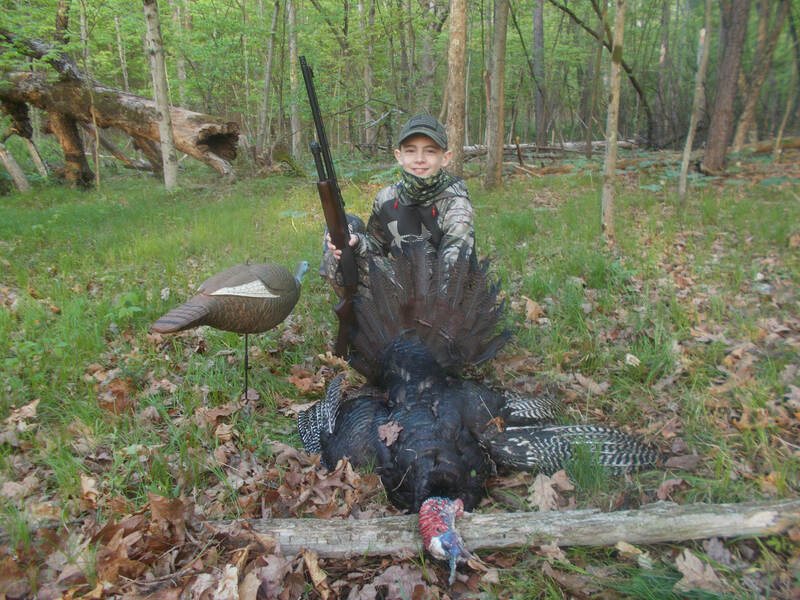 I think we may have another lifelong turkey hunter in our ranks!! A truly great story and tom for Luke , congrats to all involved . Congrats to all involved and way to "pay it forward" for the young man to have a great day. You have to love it when a plan comes together. Live callers are the best, ya'll did a great job. Memories that will last forever. Awesome story, awesome job....congrats to all!!! Way to go! Cherish those pics, they grow up too fast!